This entry was posted on April 24, 2014 by Steeve Marcoux. 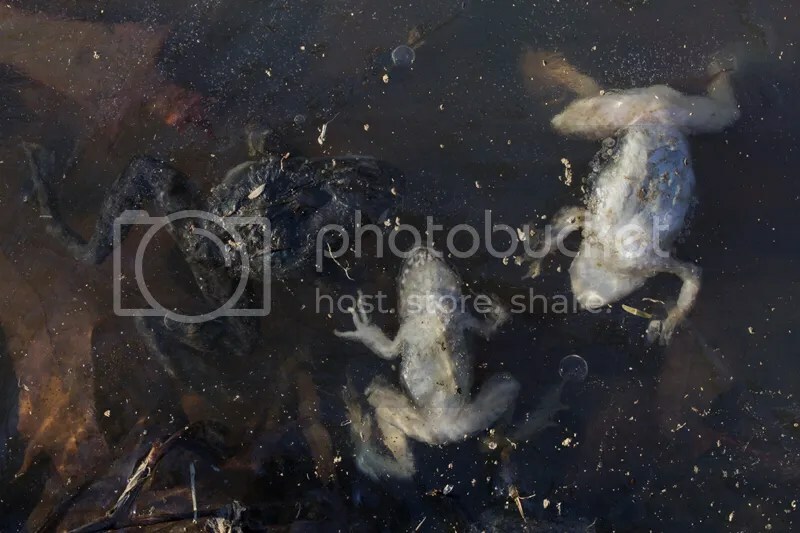 It was filed under Photo experience and was tagged with cold days, dead frog, frog, ice, photos of Frogs, under the ice. Poor critters…sometimes when I see these results and look around a bit I tend to think Einstein was wrong when he said “…God does not play dice with the universe…” It’s all a roll of the dice far as I can tell. sure it’s sad but it’s part of Nature selection for the toughest.